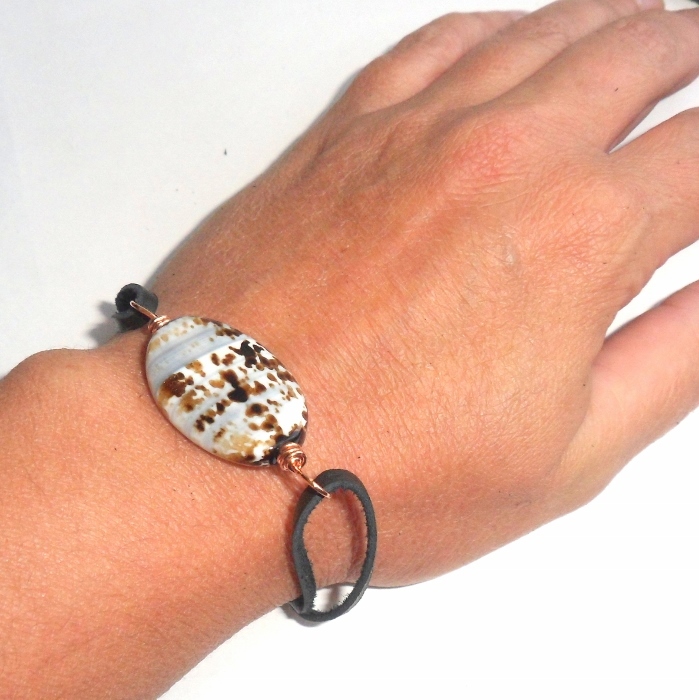 Big oval brown and white agate gemstone set on a black leather wrap bracelet. 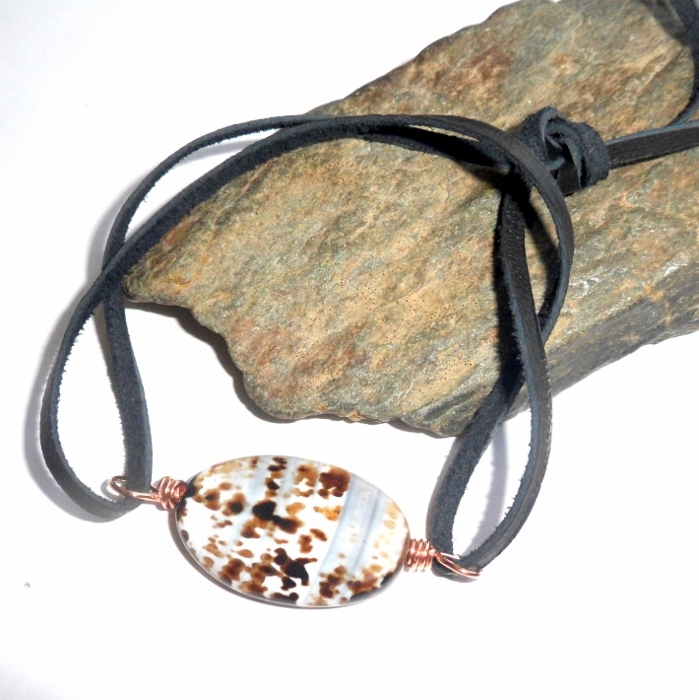 I call it Cow Agate because the colors remind me of a cow hide. That's not a real name, but it fits, and it is a beautiful agate stone. 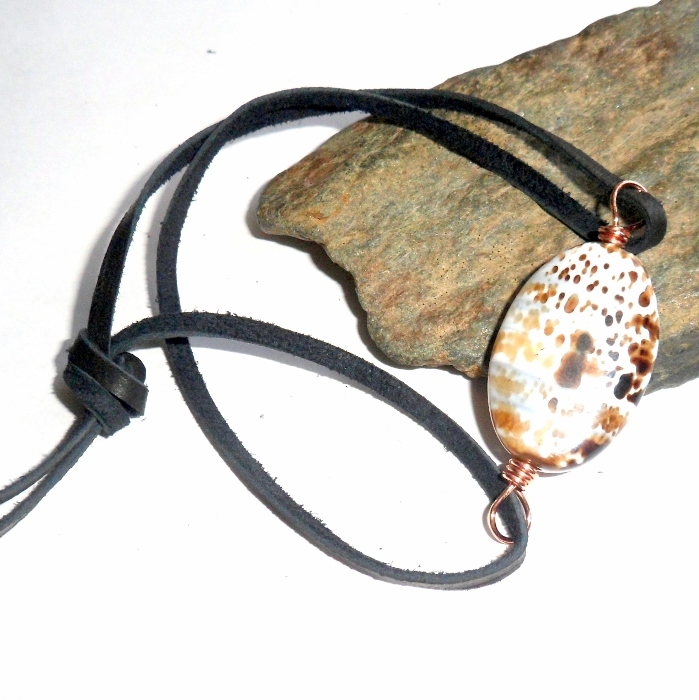 Agates are stones of confidence and clarity. They help one communicate diplomatically and help one discern truth from falsehood. They are stones of happiness and joy that also helps decrease anxiety and depression.